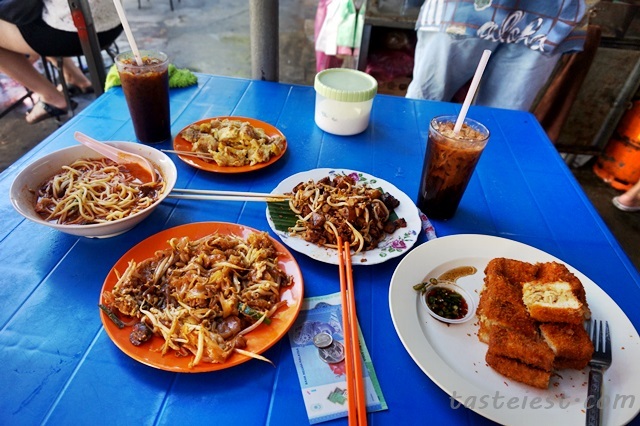 We discover a new kopitiam located at Jalan Burma which has great variety of Penang delicacy. A lot of you must be laughing at us since this kopitiam has been there for many many years but only now we discover, feel so shy. Anyhow, we rarely venture into Pulau Tikus unless we have free time on Saturday. The kopitiam always very pack especially Saturday breakfast time, very hard to get table and every time we need to wait for at least 10 minutes to get an empty table. 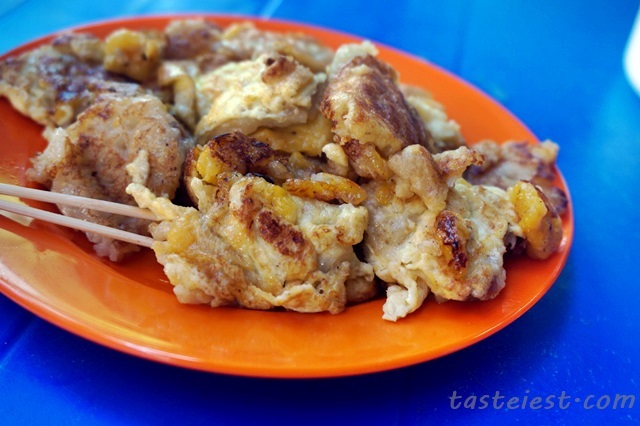 Pancake is one of the signature dish, a combination of egg, banana, raising and flavor make the pancake so delicious, it doesn’t taste too sweet instead it has mild sauteed taste with strong egg aroma. 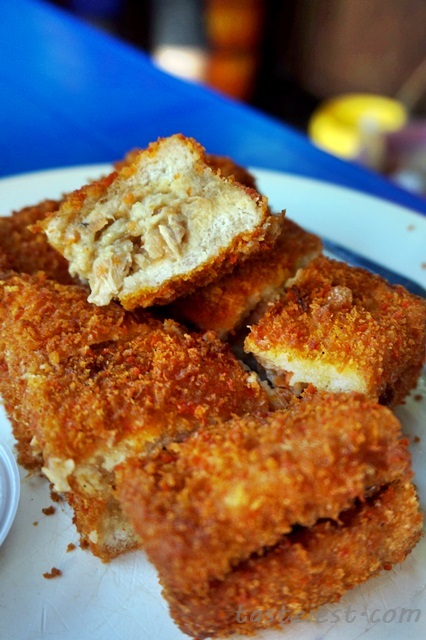 Roti Babi, bun fill with pork meat then deep fried to golden color. 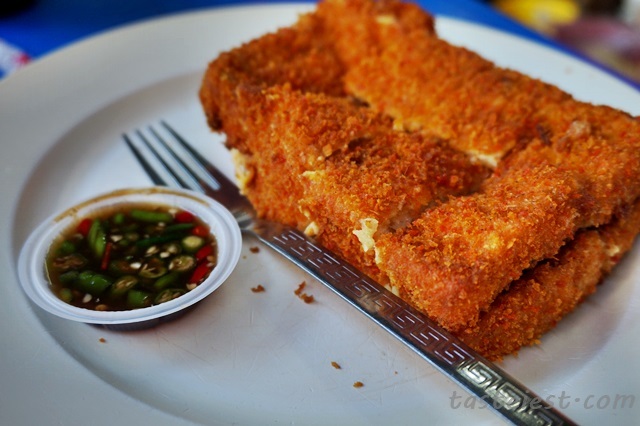 Very big portion with crispy skin. 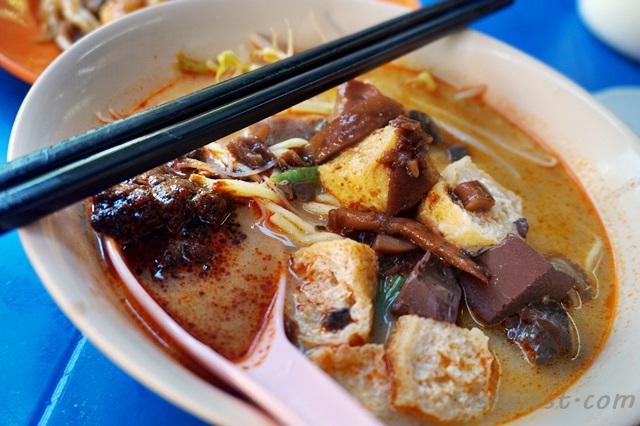 Curry Mee, i just realize this hawker same with Air Itam Famous Curry Mee. It is one of my favorite curry mee where the cuttlefish “jiu hu” extremely delicious and add on extra chili paste make it taste so good. 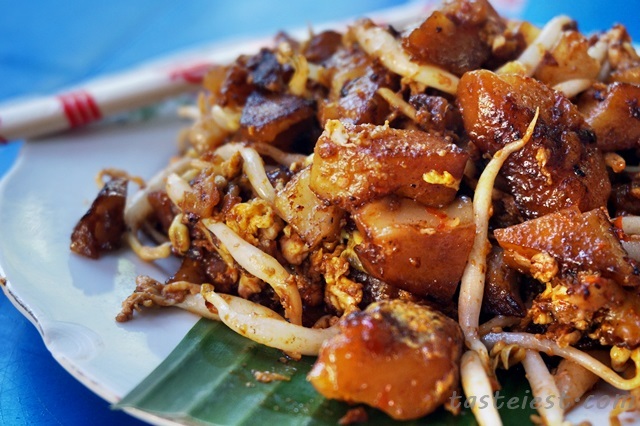 Char Koay Kak, radish cake stir fried with bean sprout and egg. It has very good wok hei and taste good. The coffee shop located at junction of Lorong Kuching and Jalan Burma.